Home » What is auto insurance? Auto insurance is a necessity; however, many people just find it to be a bothersome expense. However, the purpose of car insurance shows that it is more necessary than many understand. Look for quotes for car insurance right here by putting your ZIP code in the FREE box now! Auto insurance is a protection against a greater expense. Few have the money to pay for the costs associated with an accident. If you cause an accident, you have a legal responsibility or liability, to correct the damages that you caused. That includes paying for injuries and vehicle damages, plus damages to any surrounding property. Then, you also have your own damages and injuries to take care of. Vehicles these days can cost large amounts of money. Taking out a loan for a $20,000, $30,000 or even a $40,000 vehicle is the norm. Lenders don’t forgive loan amounts because a car was totaled in an accident or stolen by a car thief. There are many different parts to auto insurance, each covering a specific kind of damage or loss. While not all of the parts are required, most are a good idea to purchase. Liability coverage pays for your legal responsibility when you are the cause of an accident. It is broken into two different parts, one to pay for injuries and the other to pay for damages to a vehicle. Your bodily injury liability pays for the injuries that you have caused to others as the result of an at-fault accident. It can pay for hospital bills, doctor bills, and therapy. Almost all states require that drivers have at least a minimum amount of bodily injury liability insurance to cover their liability. This form of liability insurance is broken into an amount for each individual in a crash and a limit for the crash as a whole. The amounts are specified by numbers separated by slashes. For example, 10/20 refers to $10,000 in liability coverage to pay for an individual’s injuries and $20,000 for the entire accident. If these were your limits, your insurance company would not pay more than $10,000 in medical bills for each individual and no more than $20,000 in medical bills for the entire accident. Each state has different minimum amounts, and the actual dollar amount of the minimums vary a great deal. For instance in Ohio, you can legally drive with just $12,500 coverage per individual and $25,000 to pay for the entire accident, but Alaska requires at least $50,000 per individual and $100,000 for the whole accident. 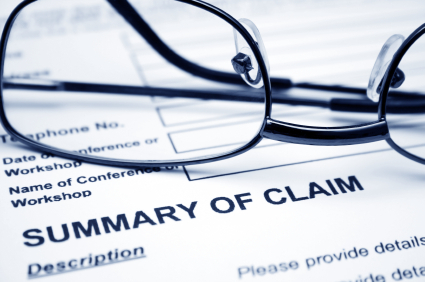 The second part of liability coverage is property damage liability. This coverage pays for damages to another’s vehicle, either to fix the damages or to replace the vehicle at its fair market value. Property damage liability also pays if your accident caused damages to other surrounding property, such as to light poles, signs, fences or other structures. State laws also mandate property damage minimum amounts. Minimum amounts required by most states range from $10,000 to $55,000 in coverage. Most states require drivers to carry coverage of at least $25,000 to pay for damages to property. The limit for property damage liability is tacked on the end of the bodily injury limits, creating three numbers separated by slashes. Taking the bodily injury example from above and adding $10,000 in property damage liability coverage would look like 10/20/10. This is the minimum liability requirements in Florida, the state with the lowest minimums in the country. While most vehicle accidents amount to some dents and scratches, there is always the possibility that you could cause a massive accident that causes damages to more than one vehicle and to more than one or two other people. You should have insurance liability limits to cover the dollar amounts of injuries and damages that you cause. You will likely be financially responsible for paying any bills that are not covered by your insurance provider. The Insurance Information Institute advises that experts recommend $100,000 per person and $300,000 for the entire accident when it comes to liability limits. Such amounts will make sure that you have enough liability coverage to pay for serious accidents. Some states also require that you carry medical payments insurance, which is also referred to as personal injury protection or PIP. This coverage pays your medical bills, depending upon the limits that you specify. The rules and regulations concerning PIP coverage are different for each state. Some states only have medical payments coverage as an option, while others require you to purchase the PIP protection. Other states require the coverage, but allow drivers to waive the requirement by mail. Generally, it is required that you set a limit of PIP coverage, and most states specify a minimum amount of coverage, just like with liability coverage. The limits that you choose will be determined by your need, as most people rely on their medical insurance to pay for injuries from an at-fault car accident. PIP coverage can add another layer of protection and assist you if your medical insurance doesn’t cover all of your costs. Furthermore, PIP coverage can also cover other items such as funeral benefits or lost wages. Again, you might have another insurance option that covers these areas, such as life insurance, disability insurance, or even accident insurance. If not, medical payments insurance is a good option to make sure that an accident doesn’t sink you in lost wages, medical bills, and other expenses. Coverage for dealing with drivers who don’t have enough insurance or even any insurance at all is also a requirement in some states. Again, each state has its own specifications concerning the insurance. However, it is a good idea to have the coverage in any state, as the most recent data supplied by the Insurance Research Council calculated that roughly one in seven drivers in the United States is on the road without insurance. If a driver who has no liability insurance hits you, then you will essentially have to pay for your own injuries and damages to your vehicle. The at-fault driver will face fines and other problems, and you can usually sue them for damages, but it could be years before you see a dime. Uninsured/underinsured coverage can also cover you if a hit-and-run driver hits you. In order to get your bills paid and your vehicle repaired or replaced quickly, you will want to have uninsured/underinsured coverage. Most states require that you match your uninsured motorist coverage to your liability limits. You cannot buy more uninsured motorist coverage than what you have in liability coverage. If you want more coverage against a driver who has too little or no insurance, then you will also have to raise your liability limits accordingly. Collision is an optional coverage when it comes to state laws, but your lien holder on your vehicle will likely require that you have the coverage until your vehicle loan is repaid. Collision coverage will pay for damages to your car from an accident, regardless of fault. This coverage is generally the only option that will pay to repair your vehicle when you are at fault in an accident. It can also be used if the at-fault driver has no insurance and you have no uninsured driver coverage, though it will not address your injuries. Collision coverage will pay either to fix your vehicle or to replace the fair market value of your car if the repairs will be more than the worth of the vehicle. Both amounts will be minus your deductible. A deductible is a portion of the bill to repair or replace your vehicle that is your part to pay. You specify your deductible amount when you buy insurance coverage. Most people choose a $500 deductible for collision, though there are many other deductible amounts available. The higher you set your deductible, then the lower your coverage will cost. However, you must choose a deductible amount that you can pay if the need arises. If you have a $2,000 deductible and you have $5,000 in damages, then your insurance provider will only pay $3,000 towards repairs. Comprehensive is also an optional coverage that is very similar to collision, though it covers all of those events that are not related to an accident. This covers damages to your car from fires, flood, and other natural disasters. Falling trees, hitting a deer and storm damage are other events that are covered. Human damage, such as vandalism and theft are also covered by comprehensive. Comprehensive also has a deductible that you specify, and the insurance company will also choose to pay you the fair market value of your vehicle if the repair costs are more than a vehicle is worth. Fair market value consists of how much your vehicle could be sold for based on the age, mileage on the engine and the condition of the exterior and interior. There are few instances when a driver can forgo collision and comprehensive coverage. Your lender will require both, but the coverage still protects the value of your car after it is paid for. Most people do not have enough savings to replace a vehicle outright. The National Association of Insurance Commissioners maintains that only vehicles less than $ 1,000 should go without collision and comprehensive coverage. There are a number of smaller insurance options that aren’t necessary or required for all situations. You need to look at your coverage needs, and choose the ones that you need to save you money down the road. One example is general asset insurance or GAP coverage. When you buy a new vehicle, the fair market value of the vehicle depreciates faster than your loan is paid off, leaving you with a large gap between what you owe on the vehicle and what your insurance provider will pay if the vehicle is wrecked. GAP insurance pays this difference, so it is really only needed for the first years or so of ownership. Roadside assistance, towing and rental car reimbursements are other options that you might or might not need. If you subscribe to an auto club, then you might already have roadside assistance and towing. You might also have an extra vehicle or a partner’s vehicle to use while yours is being repaired. The website Wiser Driver emphasizes that one day’s cost of renting a car is generally enough to cover the cost of reimbursement coverage for a year, making the cost worth it. There are many ways to cause damage with a vehicle, but each has a corresponding insurance coverage to protect your assets and way of life. Find which car insurance company offers you the best deal for your money by inserting your ZIP in the FREE box now!